Andrew Lownie Literary Agency :: Book :: The Scottish Clearances : A History of the Dispossessed 1500-1900. The Scottish Clearances : A History of the Dispossessed 1500-1900. Eighteenth century Scotland is famous for its generation of many of the enlightened ideas which helped to shape the modern world. But there was in the same period another side to the history of the nation. Many of Scotland’s people were subjected to coercive and sometimes violent change: traditional and customary relationships were overturned and replaced by the ‘rational’ exploitation of land use. The Scottish Clearances is a superb account of this sometimes terrible process, which changed the Lowland countryside forever, as it also did, more infamously, the old society of the Highlands. This pioneering book is the first to chart this tumultuous saga in one volume with due attention to evictions both north and south of the Highland line. With many fascinating details and the sense of an epic human story, The Scottish Clearances is a striking memorial to all whose lives were irreparably changed in the interests of economic efficiency. The result created Scotland as we know it today but that came at a price. This is a story of forced clearance, of the destruction of entire communities and of large-scale emigration. Some winners were able to adapt and exploit the new opportunities, but there were as many who lost everything. "A groundbreaking book ...challenges the narrative which Scots have told themselves and others for centuries.We will surely never again be able to refer to the destructive events of the eighteenth and nineteenth centuries simply as '' Highland Clearances'' ." "Likely ‎ to represent the definitive word for at least an academic generation on this most controversial of topics in Scottish history." "Sir Tom Devine has swept away much of the misunderstanding(on the Clearances) but has not deadened the story.What he tells is in many respects even more dramatic'." "Written in an engaging and fluent style,Devine takes the reader's hand to lead them through the prickly jungle of clearance and dispossession…a big and very important book. " "Devine treats the subject with sensitive intelligence…in providing us with the material which makes it more possible to see history as it actually was,Sir Tom has written a necessary book." "It is his magnum opus… also provides a final and exquisite stitching underpinning the tapestry woven through his other great Scottish histories:To the Ends of the Earth,Scotland's Empire and Independence or Union." "Scotland's most important current historian offers a radical rethinking of the Highland Clearances... Devine,Scotland's proves a muscular upended of myths…He approaches his subject like a big cat circling its prey…When it comes to the Clearances,Devine is again an exhilarating puncturer of myths and resolver of mysteries...Devine is rigorous,factual,endlessly curious and unafraid to draw big conclusions He has made a superb book...It is crammed with data but is colourful and passionate as well...Anyone interested in Scottish history needs to read it… it is also a great contribution to British history.The cover is a little dreary;what's inside is anything but." "This powerful book…Prof Devine lays out the history with admirable lucidity and comprehensive depth…the way in which he weaves Gaelic material and literary evidence in Lowland Scots into the account is especially valuable...The processes of dispossession related in this important book continue to mark contemporary Scotland.The emptiness of the countryside,north and south,is marketed as a natural and positive state of affairs.Solitude and wilderness are valuable commodities today.Tom Devine lays out,in comprehensive depth,the traumatic process that created these conditions." "In a meticulously detailed history Devine sets the record straight…there are some notable myth-busting moments and a lot to admire in this book." 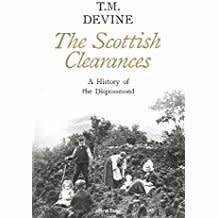 "Devine has rescued Scotland's past from the well-trodden paths of hackneyed popular histories...dispels an enduring popular misconception that the clearances were solely a Highland phenomenon...eloquent, erudite and comprehensive. Although it is a work of economic and social history, Devine has developed a means of incorporating the raw statistical data into a narrative that compels the reader on...a mature and objective approach that does not fall into the emotional or polemical. These features will ensure its relevance to Scottish historical studies for some considerable time to come." "Absolutely magnificent.It is beautifully clear,admirably lucid,truly genuine and very judicious…a genius for cleaving the way through modern scholarship while remaining firmly on a level of comradely instruction rather than condescension or conceit." "The detail and depth of knowledge displayed are remarkable - but what's truly amazing is how damn readable it is! The scholarship is ironclad … filled with fascinating details." 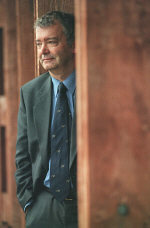 " Devine's book should be in every Scottish library,private as well as public.He is a master in moulding the morass of new historiographic material into a digestible whole.He writes with admirable clarity,sticking closely to verifiable information, with two audiences in mind, one his peers in universities, the other the reading public." "A great historian punctures a national myth...This superb book is written by a member of the Scottish intellectual aristocracy(Tom Devine is a knight as well as a professor)which renders its conclusions almost unassailable.This is a life work…what is obvious is that the book is massively researched." " A fine eye for detail with meticulously researched discussion…It is to Devine's great credit that he has softened the mythology of the Clearances and restored a forgotten people to the historical record." "Highly recommenced. Very well written and all the points are clearly explained so easily accessible for the general reader.Everything Devine writes is worth reading-he is a Scottish history course in himself.Five stars." "Thankfully into the debate comes Tom Devine,Scotland's best modern historian…he make history accessible backed up with formidable original research…a balanced,detailed and extremely readable account of one of the saddest events in (Scotland's) history." Recent praise for Tom Devine’s The Scottish Clearances : A History of the Dispossessed 1500-1900.